Blood in the ejaculate or hematospermia is usually associated with ejaculate that is red or brown in color. While the ejaculate technically originates from multiple organs, such as the testicles, epididymis, vas deferens, seminal vesicles, and prostate, the fact is that most of the ejaculate is derived from the seminal vesicles and prostate. Symptoms of hematospermia are red or brown color in the ejaculate. Blood in the ejaculate most often comes from inflammation or irritation from the prostate and/or seminal vesicles. In many patients the cause is not clearly defined. Known causes of hematospermia include a previous prostate biopsy, urinary or prostate infection, or cancer Unusual causes include tuberculosis, parasitic infections and any diseases that affect blood clotting such as hemophilia and chronic liver disease. Although blood in the ejaculate is usually not considered a serious, life-threatening condition, it is important to seek medical care and undergo an evaluation. Prostate cancer is rarely the cause of blood in the ejaculate and actually accounts for a very small percentage of diagnoses of blood in the ejaculate. In a Japanese study, less than 1% of patients had prostate cancer associated with hematospermia. Patients with hematospermia should be checked to see if there also any blood in the urine either visually or under a microscope. Patients who have hematospermia associated with symptoms of urinary infection or visual and/or microscopic blood in the urine usually require a complete urologic evaluation including a genital and rectal exam, blood tests such as PSA (prostate specific antigen), cystoscopy, and a transrectal ultrasound to look for stones and cysts in the prostate, seminal vesicles and ejaculatory ducts. Blood in the ejaculate may continue on and off, but usually carries no increased risk of any other disease. 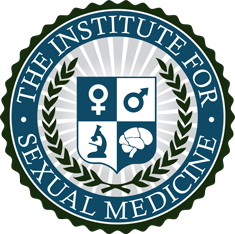 The patient is not putting his sexual partner at risk. One treatment for hematospermia is antibiotics. In addition an assessment for prostate cancer should be performed to rule that out.